Climbing Rose Crazy in Love Red is a fantastic, healthy red climbing rose. 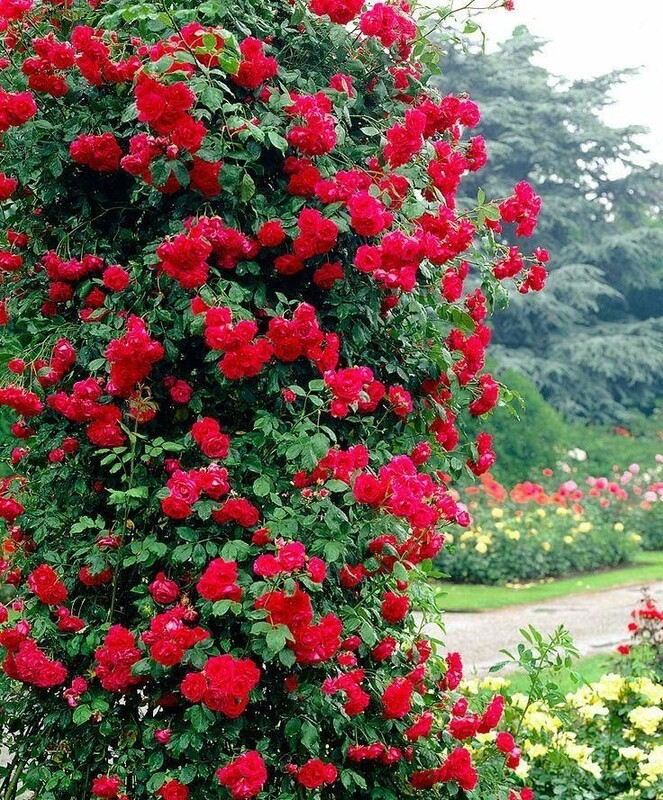 The arching stems of this vigorous, climbing rose are smothered with clusters of cup-shaped, slightly scented, double, bright red flowers in summer. Producing fragranced flowers throughout the summer on plants that can reach up to 4 metres (12ft) if left untamed it is perfect for covering a trellis, wall or arbor. Vigorous growth with fresh green foliage supports the masses of blooms, semi-double flowers that appear in large clusters from shapely buds. 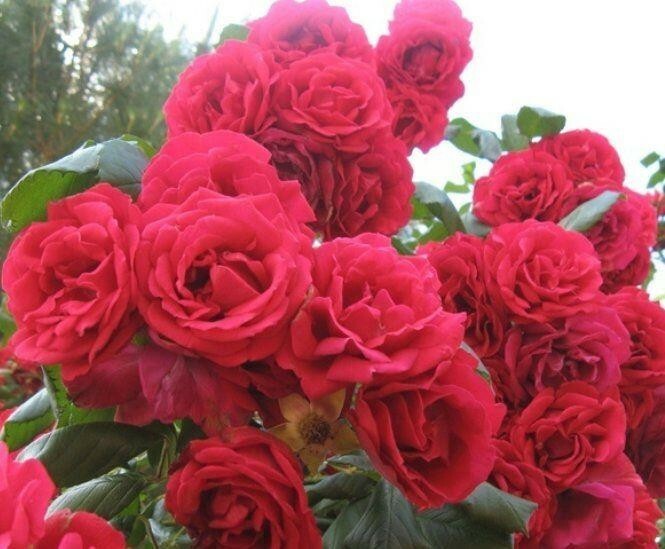 Great to add some colour to otherwise plain areas, roses provide a classic and classy look. Supplied as very strong plants in 3-5 litre containers trained on a trellis frame.